Stores are full of parents are who torn between enthusiasm and exhaustion. Walking around with school lists on their screens, they are the ones trying to herd children lulled to colorful “must haves” not on the list. With energy poured into preparing for school to start, we often miss creating the environment to help our children succeed for the new school year. Most of us usually plan to continue the routines we had the year before. Sometimes that works, until it doesn’t. By the time we realize the old system doesn’t work, we are deep in projects, carting the kids off to band practice or getting ready for football games. 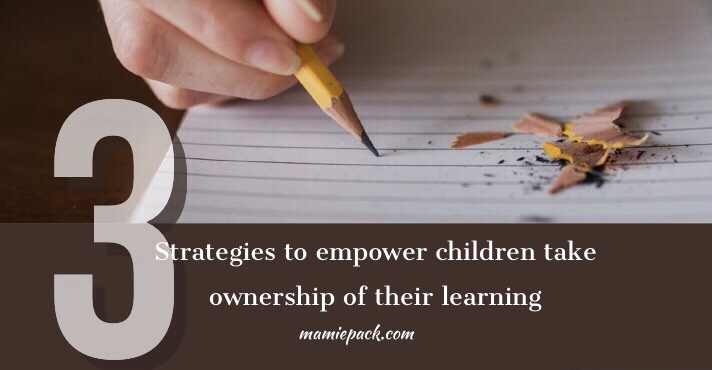 Identifying ways to help empower our children to take ownership of their learning is essential for all mommas with children of all ages. Because it is never too early to start and it is never too late to make changes. As someone who naturally loves to organize and plan, creating a homework routine based upon what I think we should do is natural. But I challenge you NOT to build the routine on your own. Get everyone involved as early in the school year as possible. When should homework be completed?Will your child have a break first? Start immediately after school? Take breaks for snacks? Regardless of what you choose, the key is to be consistent. Set a time you will be able to enforce the routine. Where will homework be completed?Think about the learning style of your child. Does your child need silence? Or need music? Sitting? Or standing? Remember, there is not a right or wrong approach. If the environment is not helping your child to complete the homework, then make adjustments. Creating a routine will vary depending upon the season of your home. What works when your children are not playing sports or are doing well academically may not work when your child is engaged in after-school sports. Reflecting on the success of the routine for everyone is vital. Don’t be afraid to change the routine if it is not working. There is a fine line between over managing and enabling negative behavior. Teaching our children to take ownership for their learning will depend on their maturity, ability, learning style, even temperament. Always have an ear open to the Holy Spirit to guide us on what decisions are best for our children based upon the moment and be willing to allow the Holy Spirit to shake up the routine. After establishing the routine for learning, as a family, you want to create the homework routine. This routine will be fluid depending upon the workload for your child. When your child comes home from school, spend time chatting about what work the student will need to complete for the week. Looking at the work, allow your child to talk with you about how he/she thinks the work should get done. For example, if your first grader receives homework for the week, take a look at the work with your child allowing your child to explain the assignments. Ask how your child will complete the work on time. Of course, you will need to give guidance from a different perspective, but you get your child thinking about how to manage their time. For children in grades 3 and up, allow them to give input to the homework schedule based on their progress from the previous year. What worked? What didn’t? What did they learn? Based upon this discussion, decide on a timetable for completing work. This will vary based upon the amount of homework. Each day allow your child to create their checklist which includes breaks along with other time constraints. Showing children HOW to create a list helps them self-monitor their progress while encouraging them to take ownership of their learning. Over time, they will look less to us to tell them what to do and will be able to be responsible. Our words play a significant role in guiding our children to take ownership of their learning. Use language which reinforces our children are capable of doing the hard things and making wise decisions. You can use words of praise to reinforce “doing.” These are statements and messages that refer to the actions our children “can” do, that speak to their potential, and their gifts. The more we use “doing” language then we set the example of the inner dialogue for our children. You can totally do this! Just take it one conversation at a time. This is great advice for motivating our children to take responsibility. Thank you! I love all of this. This is already our strategy so it’s good to hear from someone else. Makes you want to give a virtual high five! Great post! I really like how you advise parents to involve children in planning their homework routine! I would even say younger children should be involved too (with lots of guidance). Awesome idea! It is never too early to start teaching our children about being responsible for their learning. They just need some guidance. Putting those areas together can make a big difference in helping our kids to take ownership of their learning. Oh my gosh I couldn’t agree more! We have a before and after school checklist. I think it is so important to emphasize the effort kids are putting into their work. I appreciate hard work over anything else! Our children need us to model a healthy work ethic and help them develop one as well. These are some great ideas! I am going to have to talk to my husband about this. Yay! It works great especially when both parents are in agreement. I would love to know what you start to implement this year. We are implementing individual planners/checklists for kids this year in our homeschool. They’ve always been good independent learners, but are young, and so having the place to check for reminders is helpful! Great ideas/thoughts here! I love a good planner. Teaching children how to organize and be accountable for their learning style is a skill they can use for a lifetime. I appreciate this as a teacher because we need the help of our students’ parents to develop and push their learning to the next level. Absolutely! Learning how to provide support is an important part in helping our children succeed. I absolutely love this!! I’m a teacher so getting students to understand their responsibility in regards o their learning is tough. Getting their family to support this effort would be amazing. It takes partnership between the parent, the teacher and the student to help make a productive year. We all win when everyone does their part. I am using these ideas with our teenagers and toddler as we have our family meeting today. My sons are more accountable for their actions when they are involved because I can say what we decided rather than what mama said! Exactly! Our children need to be invested more even though that means we may be in control less. Sometimes that is scary even for those of us in education. Great tips, especially as this is our first day back to school. Thank you! Yay!!! Hope the first day was wonderful. Love the suggestions shared. Taking ownership & responsibility gets one closer to the target! It is so important to include children in their school planning. It provides chances for them to be accountable. It sure does Anitra! The earlier we start the better for the child. We’ve got the routine down pretty well. Honestly though, there’s too much homework, IMO. And, we’re still trying to overcome my daughter’s desire to have the answers handed to her. I have, however, also been working to remember to praise her for working hard on her homework. There are times she cries when she gets things wrong, which makes completing her homework difficult. With continued positive reinforcement, I’m seeing the amount of mistakes becoming less, so I think she’s not focused on “maybe messing up” like she might have been before. That is great!! Positive reinforcement definitely helps especially for children struggling with perfection and making mistakes. Sometimes the homework is overload, especially for kids who are also involved in other activities. It’s important to have children who are intelligent but also have kind hearts. We need to go their social skills along with their academic skills. Oh momma!! It can be a struggle for sure. Try starting with something he is interested in to help him get excited about learning. Great post. I find my kids feel so much more confident too. That is awesome! That is definitely one of the goals.